When your daily life gets hectic, let this thoughtful chalkboard heart do all the talking. 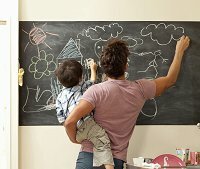 Warm your lovebug's spirit with a note on the playroom wall or give your year-round Valentine a snuggly place to list to-dos. 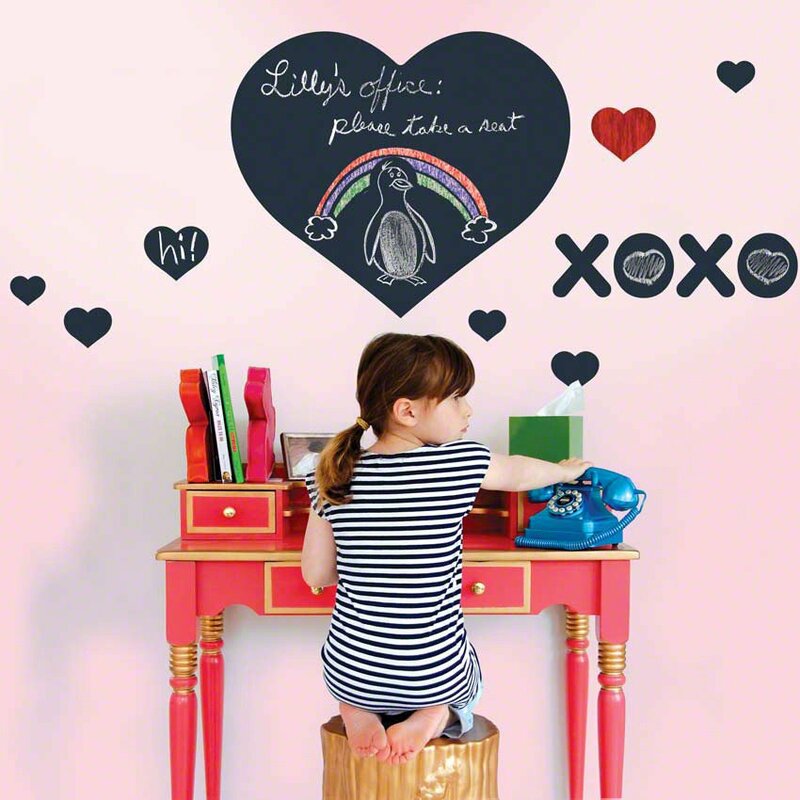 Position and reposition each chalkboard heart where you need space for memos and sketches. 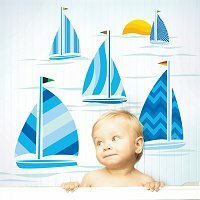 Each peel-and-stick chalkboard wall decal is removable, reusable and sweet to your surfaces.